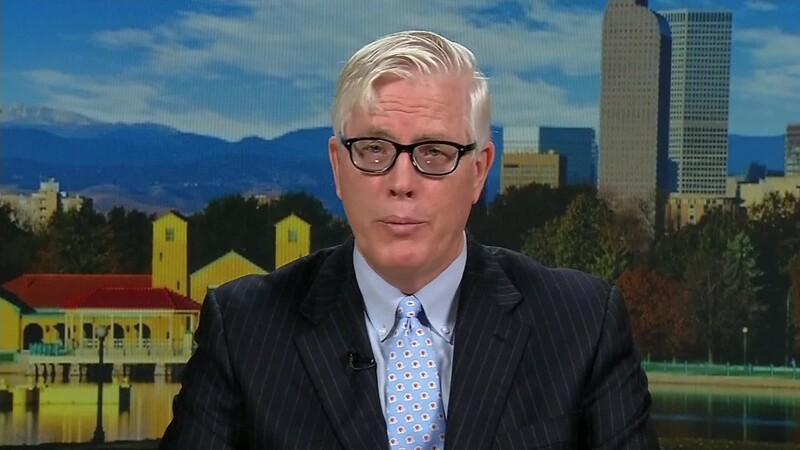 Hugh Hewitt says he's received his "Donald Trump tattoo" and he doesn't mind it one bit. Hewitt, the conservative radio show host, tripped up Trump in an interview on Thursday evening. Trump seemed flustered when Hewitt brought up General Qassem Soleimani, the head of Iran's Quds Forces. Trump commented instead on the Kurds, an ethnic group in parts of Iraq, Turkey and Syria. Later, when Hewitt invoked specific leaders of terror groups, Trump talked instead on what he called the "bigger picture." Trump told Hewitt he thought the questions were meant to be "gotchas" and called them "somewhat ridiculous." 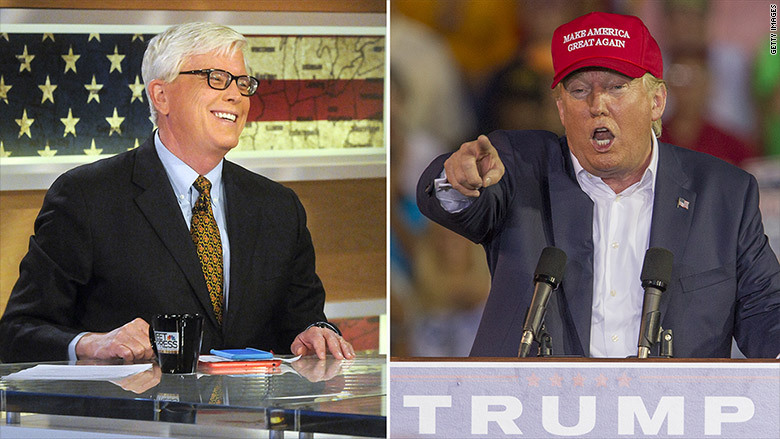 On MSNBC's "Morning Joe" Friday morning, Trump called Hewitt a "third-rate radio announcer." Hewitt responded in an interview with me Friday, saying, "He took a shot at me, that's fine," and the criticism is welcomed. He also displayed some Trump-like confidence: "I tell people, I'm not perfect, I'm just the best on radio. I think I am the best interviewer on radio in the United States." Hear more from Hewitt on CNN's "Reliable Sources" Sunday at 11 a.m. Eastern. Hewitt has hosted Trump on his radio show four times in the past month, along with many other Republican presidential candidates. Carly Fiorina self-assuredly fielded many of the same foreign policy questions as Trump on Thursday evening's show. And Hewitt said he's eager to have Trump back on the show. As for Thursday's line of questioning, he said the Quds Forces leader Soleimani "came up in the first debate, so I didn't think it was really a gotcha question. In my mind, it was a lead-in to talk about the anti-Iran deal rally that I had done with Ted Cruz the day before." Hewitt said he despises "gotchas." "'Who's the president of Nigeria?' is a gotcha question," he said. "I think the difference between Hamas and Hezbollah is significant. But the audience will decide that." He pointed out that Trump seemed to enjoy other parts of Thursday's interview, and he gave Trump credit for calling Hewitt out on the air, rather than waiting to complain later. He said Trump's "third-rate" insult means "I got my Trump tattoo," adding, "I'm proud to join Krauthammer and Chuck Todd," referring to conservative commentator Charles Krauthammer and the host of NBC's "Meet the Press," who have both been slammed by Trump in the past. Hewitt will participate in the the questioning at CNN's Republican presidential primary debate on September 16, which will be moderated by Jake Tapper.